Each of our locksmith pros can help you with any residential lock & key demands that you may have in Denver! We take home security seriously and we only hire the most skilled locksmith experts. Our company carries the best name brand locks available on the market and our locksmith technicians are skilled security masters. Access control systems, electronic safes, and keyless door locks are just a few examples of security applications we can assist with and install in addition to door locks and door handles. Our regular home projects include things like deadbolt lock re-keys, unlocking locked doors, and mailbox lock replacement within Denver, CO. We can easily work with virtually any kind of home security issues, so give us a call to talk to a security professional right now! Best locksmiths in town! Very affordable and fast! I will be calling the next time I need a locksmith for sure. Very impressed with the denver lock smith pros! My key broke off inside of my deadbolt and I called these guys. They came out, extracted my broken key and made me a new key on the spot. 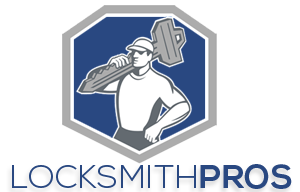 100% recommend Denver Locksmith pros to anyone in need of locksmith services! Love this company!! Wanted to have a track lock installed on my sliding glass door, I called Denver Lock smith pros and they dispatched a tech and had a new lock on my door before the day was over. You guys made a customer for life out of me! Needed to have my home lock rekeyed today. I found Denver locksmith pros online and gave them a call. Their tech came out and had a new key made for me the same day. Awesome service and very professional. We’ve had some break-ins in our neighborhood lately and wanted to step up our security. We called Denver Locksmith Pros and had them come out and install locks on all our windows, and had them inspect our other locks to make sure everything was secure and good to go. We recently needed to install a lock on our shed. We found Denver Locksmith Pros online and decided to give them a call. Their staff was very professional and was able to come out and install the new lock the same day. We’re glad we found the Denver Locksmith Pros!! Our back gate lock has been broken since we’ve moved into this house. We finally made the call to Denver Locksmith pros and now we’re wondering why we didn’t call sooner! They were quick to come out and install the new lock on the gate and didn’t break the bank. I will keep you guys in mind next time I need your help!! Thank you so much! Wanted to upgrade our home to a keyless lock system today. 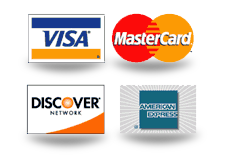 We called Denver Locksmith Pros and everything from there was an easy, smooth process. Their staff was quick and professional and the cost was affordable too. I will definitely be calling these guys again. Wanted to upgrade the standard deadbolt lock on my front door to a keypad lock system. I called Denver Locksmith Pros and I’m glad I did. They were friendly and made the whole upgrade process easy and stress-free. It was even more affordable than I thought it was going to be. Don’t be afraid to call now! My deadbolt on my front door sticks sometimes and is tough to lock/unlock. I had a little extra money left over from this check and decided it was time to get it fixed. I called Denver Locksmith Pros and they had someone come out to my home the same day to examine my lock. They took it a part and tightened up one little screw and my lock was good to go. Thanks Denver Locksmith Pros! I bought a used filing cabinet today and wanted to have it rekeyed so the lock would be functional. 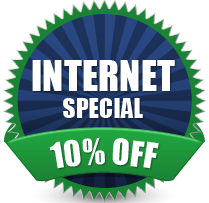 I found Denver Locksmith pros online, saw their 10% discount and gave them a call. They made the process feel smooth and easy and before I knew it, I had a new lock and key on my filing cabinet for my home office. Thanks Denver Locksmith Pros! I had my front door re-keyed today and I have to say! Denver Locksmith pros really are the PROS! Their technician was obviously experienced, had a friendly, professional attitude, and worked quickly. I will for sure be calling again. I don’t really live in the best area of CO and wanted my home to feel more secure. I decided to give Denver Locksmith Pros a call and had them come out and install window locks on all the windows in my home along with an additional lock on my sliding glass door. I highly recommend giving them a call for any of your locksmith needs! We Service All of Denver!